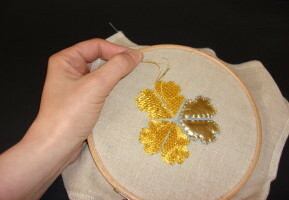 Appliqué means attaching a shape in one fabric to a background of another fabric. 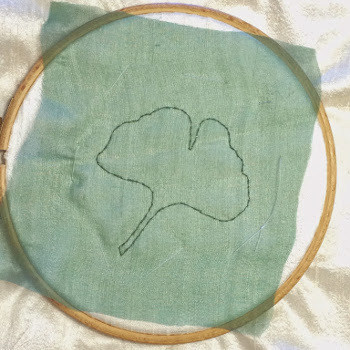 There are lots of different ways of doing this, including the use of iron-on adhesive interfacings such as Bondaweb, but in this tips article we’ll look at using hand-stitched chiffon shapes to build up layers of colour. Chiffon appliqué gives a light, ethereal effect, allowing the background fabric to show through. It can be used on very fine fabrics. Sharp scissors with a good point. 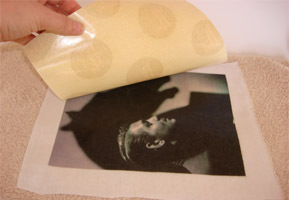 Transfer the design to your background fabric and mount the fabric in a frame or hoop, using a lining fabric if required. 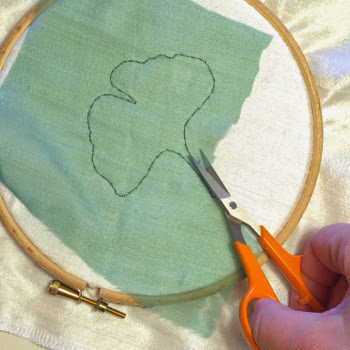 Cut a piece of chiffon or other sheer fabric larger than the shape to be appliquéd. Tack this to the background, over the shape. 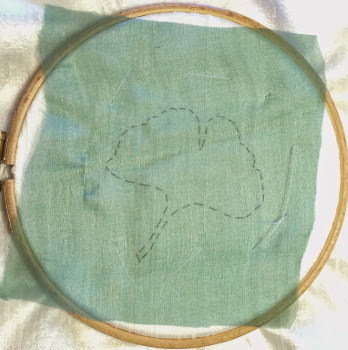 Using small stitches, back stitch around the outline of the shape, to attach the chiffon to the background. Very carefully, trim the excess chiffon with sharp pointed scissors. 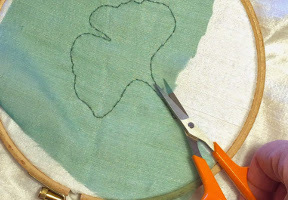 Leave a small margin round the shape, to allow for a small amount of fraying. 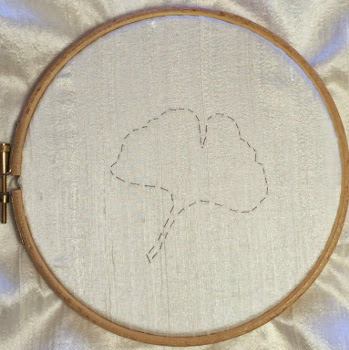 Embellish with surface stitchery or beading if required. If you’re using a fine fabric, you may wish to use a firmer fabric such as calico as a backing, depending on the effect you wish to achieve. 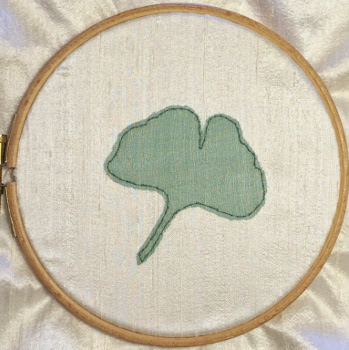 A fine fabric on its own will not have the strength of cotton or linen, so take care when stretching it in a hoop or frame. Layers of chiffon can be built up in this way, to give a deeper colour. This works well over part of the design, to give contrast and depth. 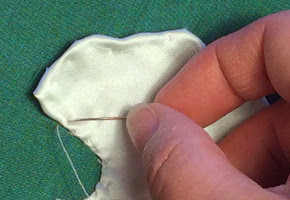 Use a plain sewing thread to stitch the shape if it’s to be covered over later. 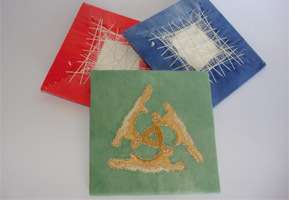 If it’s to be left plain, use an embroidery thread, such as stranded cotton. A variegated thread can give an interesting effect. Over-stitching over back stitches used to attach the chiffon can be used to neaten the shape. 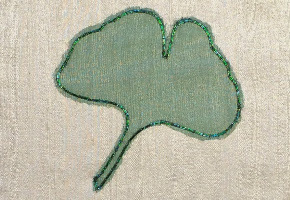 Chain stitch in a metallic thread or a toning or contrasting stranded cotton can work very well, as can couching.